In 2008, Azerbaijan signed and ratified the UN Convention on the Rights of Persons with Disabilities and like all member states following the principals of the Convention, it has undertaken obligations to facilitate the integration of people with disabilities into society. One of these obligations is to enable persons with disabilities to live independently and participate fully in all aspects of life. 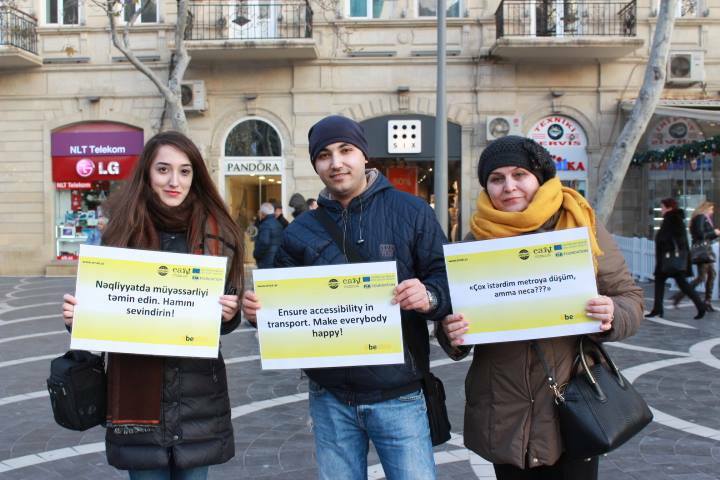 To achieve this, Azerbaijan, like all countries, needs to be able to respond appropriately to the needs of persons with disabilities and ensure access on an equal basis with others to public spaces and public transport. 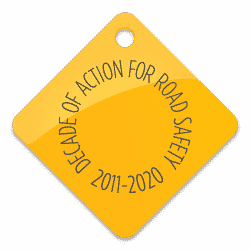 Since 2015, EASST has been working with each of its partner countries in order to gather data on the needs of children and persons with disabilities to better understand the problems they face as drivers, pedestrians and public transport users and how to address such issues proactively. In Azerbaijan, EASST partner, the National Automobile Club of Azerbaijan (AMAK) have been conducting research into the main challenges people with disabilities face everyday when using public transport and moving around the city. Their aim is to set out recommendations and raise awareness to support the country’s overall efforts in ensuring mobility needs of persons with disabilities and lobby for a better system of integrated transport infrastructure. 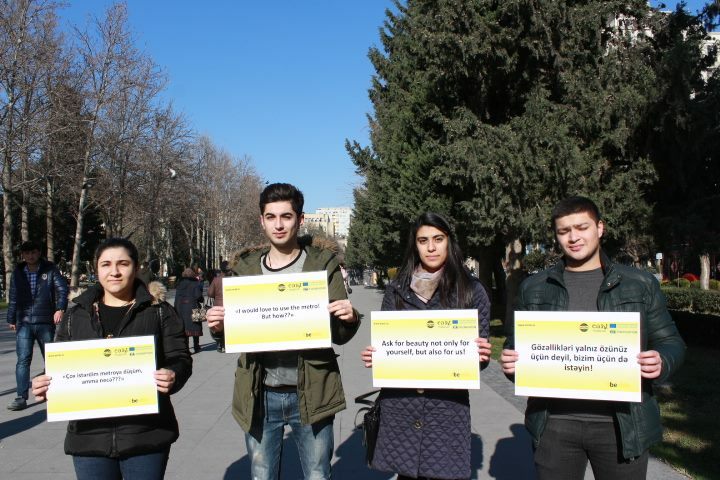 In January, as part of the project, AMAK organised a campaign event around the Elmler Akademiyasi metro station in Baku in order to find out what the general public think about this issue and raise awareness. The event included a brief survey with local residents and providing them with educational statistics on people with disabilities. 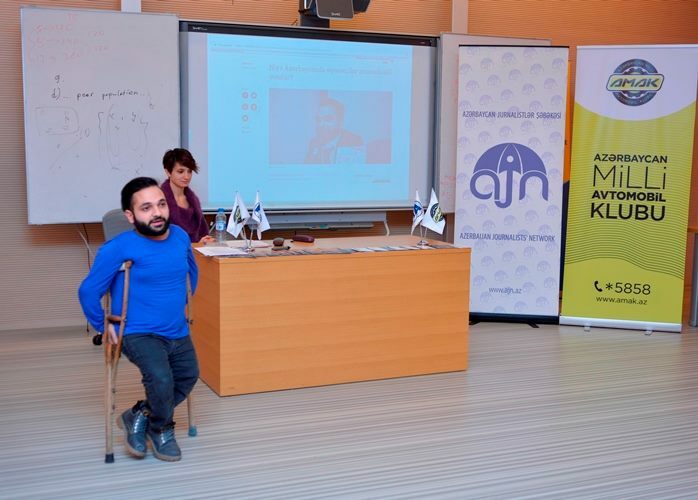 In December, the project also included a special training workshop with the Azerbaijan Journalists Network on the media’s role in promoting the needs of people with disabilities in society. During the seminar, experts and specialists from the field introduced journalists to the importance of the campaign and emphasised the significance of the media’s role in the process of advocacy for the development of accessibility for people with disabilities. This project is being implemented with the support of EASST and the EU Eastern Partnership Program Civil Society Facility.